I performed the cardinal sin of watching a London band I’ve seen many times before in Austin. Actually I’m guilty on two counts yesterday with Bo ningen and Teeth of the Sea performing at their showcases and I’m quite happy to endure the 9 circles of hell for the Privilidge. 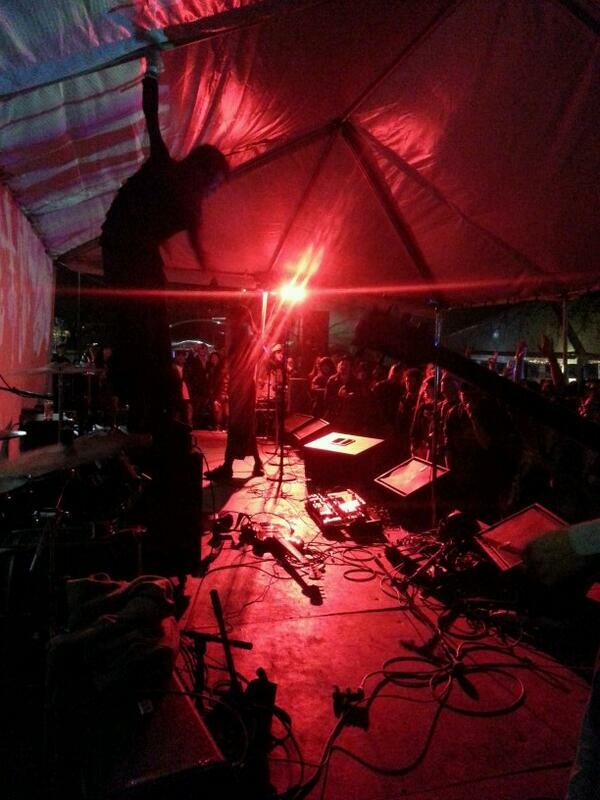 Bo ningen were performing at the Austin Psychfest and blew the minds of all in attendance. We know they’re incredible but watching the faces of the people around me was like watching when your mother finally figured out how to text message. Teeth of the sea’s showcase at the Soho lounge (more Soho public toilet) was less well attended (undeservedly so) but the enthusiasm was just the same, but what an odd wonderful crowd they had. From a bunch of 21 year old co-eds, dancing while holding hands through Master to the octogenarian putting his face in speaker to really smother himself in noise. I tried to atone for my sins by watching bands I “must see” and to be honest Future Islands and Blouse just left me cold although props to the Dublin’s September Girls and Melbourne’s metal kings of comedy and metal King Parrot.